Rosalyn R. LaPier What makes a mountain, hill or prairie a “sacred” place? Continue Reading What Makes a Mountain, Hill, or Prairie a ‘Sacred’ Place for Native Americans? 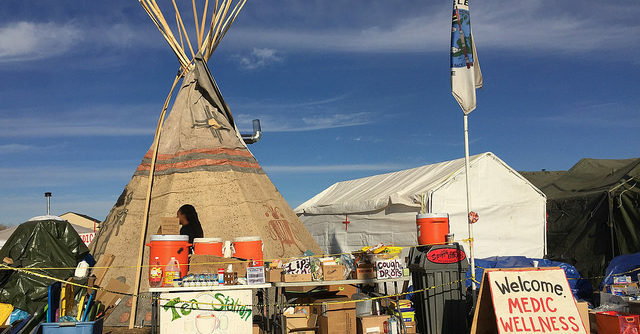 Lily Oster Drawn to the power and earth-connectedness of Lakota spirituality, white people at Standing Rock too frequently expressed our claims to total access to native religion, and even to leadership. Barbara A. Mann First, nothing in monotheism prepares anyone to understand anything in Indian spirituality. The base number of monotheism is One, whereas the base number of Indian spirituality is Two. These assumptions lead in very different directions. Rosalyn R. LaPier But, despite our 200-plus years of contact, the United States has yet to begin to understand the uniqueness of Native American religions and ties to the land.